Rentals in Dubai rose by 1.57 per cent in May 2016 compared to April 2016, according to a report by Bayut.com. The average rent for studio apartments rose to Dh57,000 per annum (pa) from Dh56,000 pa recorded in April, registering a growth of 2 per cent. The average rental yield stood at 7.2 per cent. Rentals for one-bedroom units jumped rose by one per cent Dh95,000 pa, offering owners an rental yield of 7 per cent, while average leasing cost for two-bedroom units remained stable at Dh149,000 pa. Rental returns remained the lowest at 5.7 per cent. Although a number of global consultancies have predicted a slowdown in transaction activity and rental/price declines, Standard and Poor’s Ratings Services said in April 2016 that lifting of sanctions on Russia and Iran, oil price recovery and a weakened US dollar will strongly benefit the recovery of the property market. “A rebound in oil prices as well as weakening US dollar would also likely reverse the negative trend,” it added. As per the Dubai Land Department, over Dh55 billion worth of real estate transactions were registered in Dubai in the first three months of 2016. Knight Frank Global House Price Index said in a report that Dubai, which was among the top cities on the global price index in 2013 and 2014, registering double digit increases, has now become an affordable place to buy real estate after prices declined 5.5 per cent. The Wealth Report even placed Dubai ahead of cities such as Shanghai, Paris and Sydney to take the sixth spot on the list of top 10 most important city for the Ultra High Net Worth Individuals. 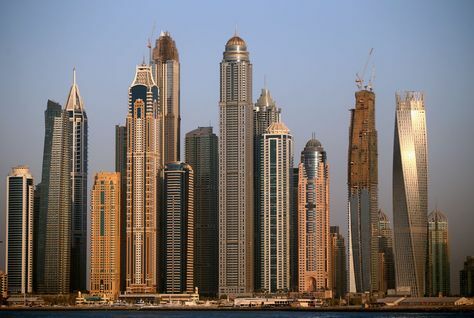 It also stated that $1 million (Dh3.67 million) could buy 155 square metres of prime property in the emirate compared to only 17 square metres in Monaco and 21 square metres in London.